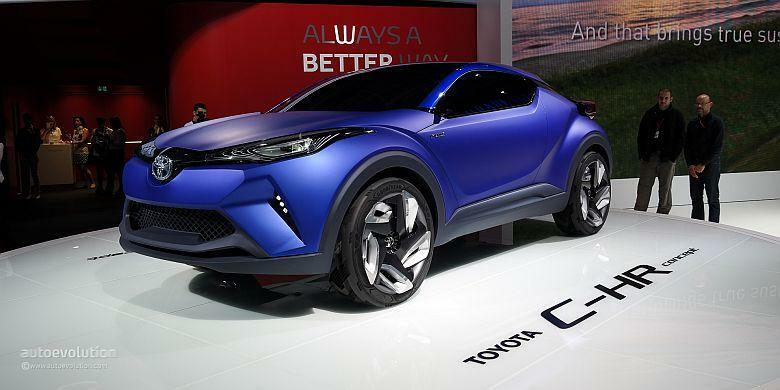 Toyota Europe to fix the C-HR concept design for display at the Frankfurt Motor Show, which will take place Sept. 15. Previously, the C-HR debut at the Paris Motor Show in 2014, now both candidates for the new crossover design is getting closer to the production model. There is no other explanation than the current Toyota announced plans to introduce a revised design of the C-HR, Tuesday (09/01/2015). However one thing that retained the use of hybrid propulsion source. In Paris C-HR appear with a futuristic design. The body is designed with two doors and a low roof, while on the face using the design motif "Keen Look" and "Under Priority" typical Toyota. Most likely the new design concept C-HR slashed an imaginary elements may not be applied to the production model. Mass production version of the C-HR will be Toyota's answer to the growing crossover segment in many markets around the world. Its main competitor the Honda HR-V and Nissan Juke.